Tango accessory track platform - What exactly is it? 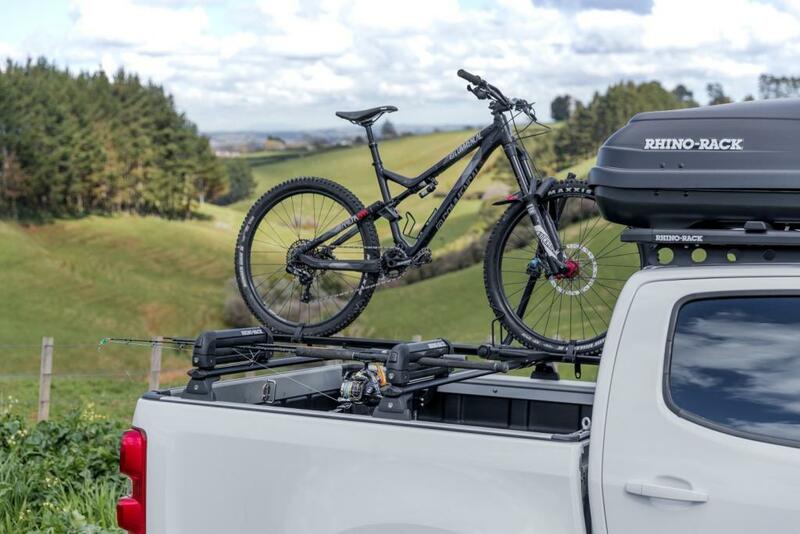 Our Tango accessory docking platform has taken the pickup market by storm, allowing truck owners the freedom and ease of customising their truck-bed with roof racks and other accessories. But what exactly is Tango and how does it work? At the very core of it, Tango is an aluminium rail track running the four lengths of the pickup bed edges to create a docking platform for accessories including our SportLid. It is non-drill fitted by using existing bolt holes and c-clamps. Constructed mostly from a high-grade aluminium, it includes a rubber seal on the top to stop any water or dust entering. On the inner rail there is foam to prevent it from rubbing or scratching the paint. The freedom of customisation comes from Tango’s T-channels, which run on the inside and top surfaces of the Tango rail. These T-channels are a generic size and fit a range of roof racks and common accessories, including products from Thule and Rhino Rack. Tango is constructed from a thick, high-grade aluminium, making it strong enough to handle big tie-down loads, such as motorbikes or fridges. Tango is rated to 75kg dynamic (moving) payload on top of the rails, which is the standard rating for most roof rack accessories. As a pickup truck owner, how does Tango benefit me? After the simple installation of Tango, your pickup bed can now be transformed to suit your life. Maybe you wish to add racks to it so you can load the top with bikes and still have room for gear underneath. Or install our LoadMaster bed divider to stop your gear rolling around while driving. Maybe you just need more tie-hook points for loading motorbikes. Or an option for mounting your SportBar without drilling into the vehicle. With over 35 applicable Rhino-Rack accessories, the sky is the limit. 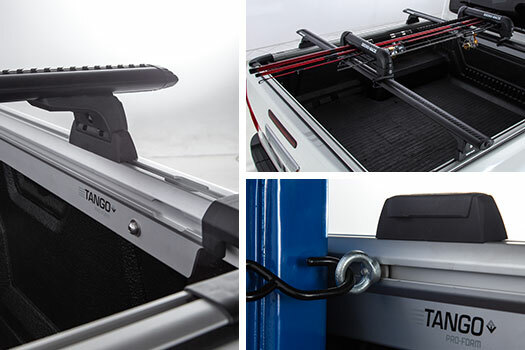 The other additional benefit of Tango is it provides rugged protection to the pickup bed-rail which is often an area of the truck to get scratched from general pickup truck use. Tango is currently available for eight pickup truck models, including Toyota Hilux, Nissan Navara NP300, Ford Ranger T6, Mazda BT-50, Holden Colorado, Isuzu D-Max, Volkswagen Amarok, Renault Alaskan.